The Stealth 600 has no wires, no base station and no adapter and will pare directly to the Xbox One and supports, Xbox One, Xbox One S, and Xbox One X. 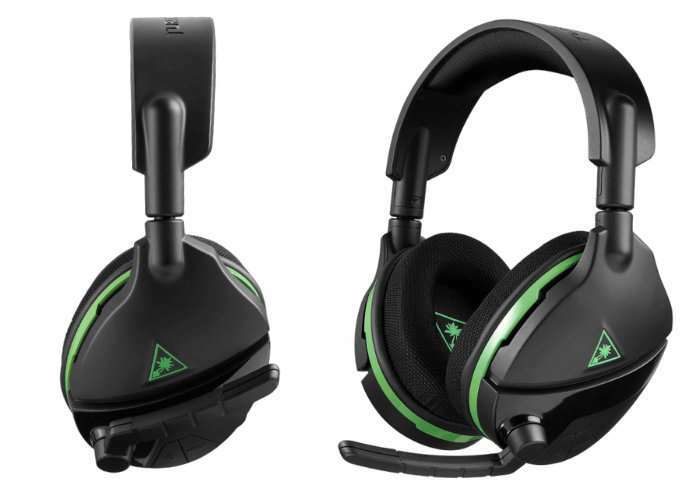 The Stealth 600 for Xbox One, as well as the Stealth 700 for Xbox One and Stealth 600 for PlayStation 4, will be available from September 4th, 2017, and the Stealth 700 design for the PlayStation 4 will be available a little later from September 24th, 2017. With today’s availability of the Stealth 600 for Xbox One and the upcoming availability of the Stealth 700, we continue to cement our clear category leadership position by driving innovation and being first to market with groundbreaking features and functionality. We work tirelessly to be at the forefront of gaming audio so delivering another significant industry first is already a pride point for Turtle Beach, but we’re even more excited to delight our fans by making the Stealth 600 for Xbox One available ahead of schedule, especially with this year’s upcoming AAA game launches right around the corner. • Xbox Wireless – Enjoy the simplicity and superiority of a direct connection from your headset to your console – no wires, no base station, and no adapter needed. • Windows Sonic Surround Sound – Xbox One’s Windows Sonic for Headphones delivers immersive virtual surround sound to bring your games, movies and music to life. • Glasses Friendly – Unique ProSpecs comfort-driven design removes pressure on your glasses while you play. • Powerful 50mm Speakers – Large, powerful over-ear speakers produce crisp highs and thundering lows. • Flip-up Microphone – Turtle Beach’s renowned high-sensitivity mic picks up your voice loud and clear, and flips up to mute. • Superhuman Hearing – From quiet footsteps sneaking-up from behind to enemy weapon reloads just before an ambush, Superhuman Hearing lets you hear it all. Hear Everything. Defeat Everyone. • Independent Game & Chat Volume Control – Find the perfect balance between game audio and chat audio. • Mic Monitoring – Hear the volume of your voice inside the headset so you never have to shout. • Audio Presets, Including Bass Boost – Customize the way your game sounds with four audio presets, including Bass Boost. • All-Day Battery Life – Always be ready to play with up to 15-hours of gaming per charge.